Investment in Jabra headsets and HD webcams provides considerable savings. time is money. this truism has been confirmed once again by COWI engineering Consulting Group after major investment in an all-new infrastructure, designed to make the workday easier and to bring colleagues closer to one another. When you have to coordinate over 6,000 employees and representation in 40 countries, fast secure communication is essential. Consequently, there was really no viable alternative to Unified Communications as the future communications platform when COWI began installing a new Microsoft® Office Communicator client on all of the Company’s computer workstations in early 2008. COWI had an urgent need for increased accessibility in communication between colleagues, as well as a need to improve both quality and security in the numerous data services used by staff for internal communication. To achieve these goals, COWI created an IT department which now independently handles security. The entire corporate Unified Communications installation is hosted on a closed system of 9 servers that gives COWI’s IT staff the ability to customize each employee’s Communicator as needed, along with many other features and functions. “Because many COWI employees travel extensively, time becomes a crucial factor for them, with effective use of travel time and accessibility anywhere in the world as key objectives. our new infrastructure, an integration of Microsoft Office Communicator Live meeting and Nortel telephone system, lets them achieve these goals. Our new Intranet also includes access to so-called softphones, allowing us to bring together all communication in a single platform, in which the individual employee can take his “extension number” with him anywhere”. Essential to COWI’s Unified Communication solution is the fact, that the system provides secure, convenient access to a wide range of communications services, including instant messaging (chat), presence information, IPtelephony, video conferencing, intelligent call forwarding, online document sharing etc. At the same time, every employee can always have the complete corporate communications platform with him on his laptop. All that is required is a headset certified for Unified Communications, in order to be just as efficient on the road in India, for instance, as at the office in Lyngby, Denmark. “In order for our many employees to experience the new communications platform as a success, we demand capable suppliers of both software and hardware, and it is simply crucial that the service providers whom we choose as partners can handle an infrastructure of this magnitude. 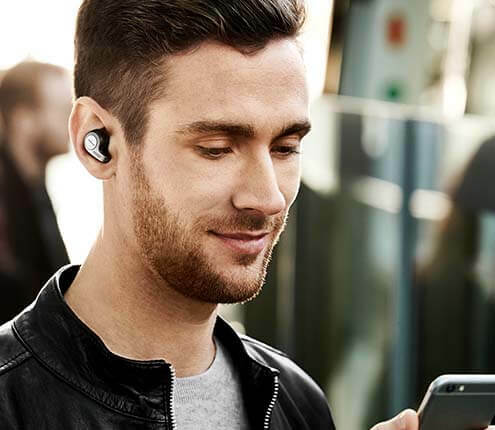 We have had excellent experiences with Jabra, whom we already knew as supplier of a large number of headsets for our staff,” adds Peer Sylvest. COWI’s IT Department tested numerous headset solutions from various suppliers, and the final choice was Jabra GN2000 USB, based on quality, sound and ergonomics that were far superior to the competition at the right price. 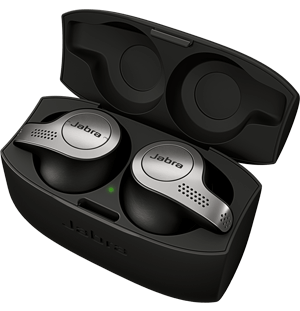 “The Jabra headset offers exceptional user-friendliness. It is pure plug ‘n’ play and the sound is sublime. When talking to a colleague in China via your computer softphone, it’s hard to believe that he isn’t sitting right there next to you. The sound of our system is much better than Skype and the Jabra headsets exploit that to the fullest. It is also extremely reliable and can take rough treatment,” elaborates Peer Sylvest. High sound and image quality is critical, if the user is to experience internet communication as a success. For this reason, it was part of the COWI strategy to launch the company’s new Communicator fully functional all at once, instead of a more traditional slow roll-out that gradually integrates the system. That decision proved to be the right one, measured in terms of response from the 200 employees, who participated in the trial run of the new communications set-up. COWI is a leading international consulting group. Since its foundation in 1930, the Group has been involved in more than 50000 projects in 175 countries. Staff includes engineers, biologists, geologists, economists, surveyors, anthropologists, sociologists and architects. COWI is present where ever the world’s largest infrastructure projects take shape.